SoundSession’10 is New England’s premier summer music festival in Rhode Island’s capital city. A multi-stage, genre-defying event, the festival is produced by the Providence Black Repertory Company in collaboration with the City of Providence Department of Art, Culture & Tourism. 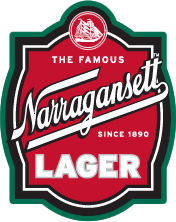 Narragansett is the official beer of this year’s Sound Session. With that Narragansett Brewery presents the “Hi-Neighbor” Local Music Stage featuring, The Cobra-matics, Reborn A Weapon, The Family Township, McAlister Drive, Keep Me Conscious, and The Coming Weak, The Mericans. It goes down at 7pm on Friday night, July 23 at Jerky’s, 71 Richmond Street, Providence, RI. Here’s more on the bands. The Cobra-Matics have been hard at work at the South County Social Club rehersal room and Stable Sound Studios in Portsmouth, Rhode Island on thier follow up to thier debut Cd ” Under the Hood”. They getting the new recordings finished up and prepping for Spring and summer shows so hang on get ready for some great gigs and good times! Leading the charge on lead vocals and his swinging rhythm guitar is the always handsome and devilish Captain Al De Ville flanked by his right hand guitar man “The Colonel” providing the memorable melodies that keep the bouncy tunes jumping out of his vintage amp and stuck in your head for days! “Backwards” Bob Mac on his Brandy old 1948 Epiphone B-5 upright bass and Russ D. on the vintage radio king drums are pounding out the Zesty rhythms for your listening,drinking and dancing pleasure. 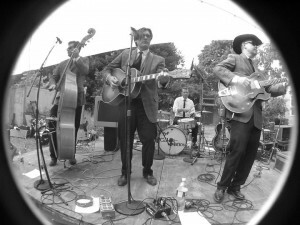 Combining the best aspects of any great group on the move the band has a unique style all of their own and are not afraid to admit the influences of early blues, country, gospel, R&B, 50’s rock-n-roll, and rockabilly. Inspired and original sounds of the past are always heard jumpin out of the speakers of the Colonel’s 1958 Cobra-Matic Hi-Fi record player. When the band hits the bandstand music fans of all ages and styles appreciate the band’s dedication to preserve the Roots of American Rock and Roll. the Cobra-Matics are sincere, professional, and dedicated showmen of the highest caliber right down to thier matching suits and well crafted tunesmanship! So if you are looking for a big night out and want to shake it down with real rock and roll party band check out the Cobra-Matic! 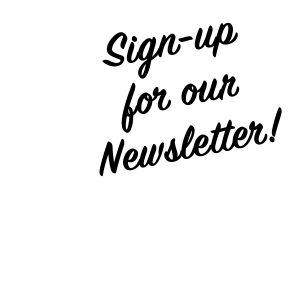 And don’t forget to pick up a copy of “Under the Hood” on The Colonels Fabulous new Original Recipe Recordings label available NOW and get ready for some long awaited new releases in 2010! the ‘MERICANS are an Experimental Roots Rock band from Rhode Island led by former Purple Ivy Shadows singer & guitarist Chris Daltry who has been called a “visionary (local) founding father of the rootsy rockers” by the Providence Phoenix. 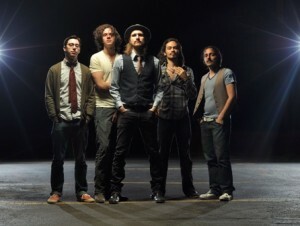 The group has released two full length records called ‘Merican Recordings (2006), and Where All Dead Leaves Go (2007) that have met with critical praise : “Where All Dead Leaves Go is one magical listen and one of the year’s best discs” with the band’s “southern-fried roots shine across warm with tremolo, hooks, and harmonies akin to retro gems from bands like Galaxie 500” and “It’s quiet music you want to crank” the group has also the honor of being voted “Best Roots Act” in the 2008 Providence Phoenix Best Music Poll by their fans and their 2007 album Where All Dead Leaves Go was named as a Top Local Album release by the Phoenix and THE ‘MERICANS were also asked to contribute music to the soundtrack for the 2008 film “You Must Be This Tall : The Story of Rocky Point” which is about the long-defunct Rhode Island amusement park Rocky Point. 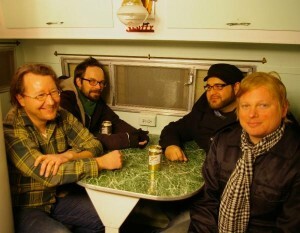 fans and critics have compared the sound of THE ‘MERICANS to groups like The Feelies, Creedence Clearwater Revival, Television, Wilco, the Jayhawks, the Byrds, Pernice Brothers, Son Volt, the Rolling Stones and THE ‘MERICANS have performed live with with many diverse acts including Mark Olson of The Jayhawks, Lightning Bolt, Anders Parker of Varnaline, Death Vessel, Ida, The Figgs, Jennifer O’Connor, Mascott, Sleepyhead, New Radiant Storm King, Poem Rocket, KaiserCartel, Audrey Ryan, Deer Tick, Rich Gilbert (Frank Black and The Catholics) and Blackstone Valley Sinners and many others. 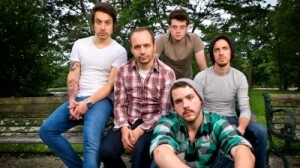 Keep Me Conscious – Since forming in March 2009, Boston-based Keep Me Conscious has built a fiercely loyal fan base by offering a unique brand of melodic alt rock and an intense stage performance. Bob Bowser (vocals), Daniel Maleck (guitar), John Wiley (guitar), Maty Vamp (bass) and Rob B Wu (drums) are passionate songwriters committed to delivering their music live with the same precision found on their recordings. Keep Me Conscious has quickly become a “must-see” live band. 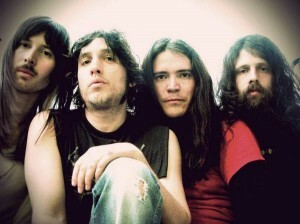 At their rehearsal space in Boston, the band collaborates on heartfelt lyrics, beautifully crafted guitar riffs, dirty bass lines and punishing drum work, as evidenced in their April 2009 EP, “Sounds of Rescue” recorded by Jonathan Wyman (Sparks The Rescue, Sage Francis). With thousands of copies sold, Keep Me Conscious have ridden their own momentum into the new year by recording a two-song demo with Tom Denney (A Day To Remember, Pierce The Veil, Confide). 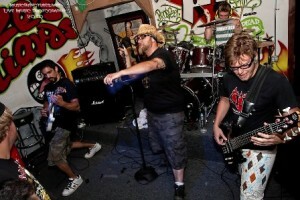 In Boston, the band is featured regularly on WAAF’s Baystate Rocks and WZLX’s Boston Emissions. In Rhode Island, WBRU added “Thicker Than Blood” into prime time rotation on News At Nine’s battle of the bands, where winners are determined by listener votes. After seven consecutive wins, the song was retired to the station’s Hall of Fame. 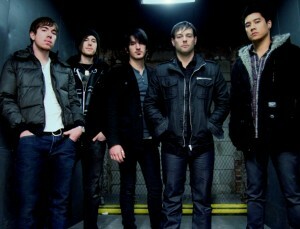 Maine’s WTOS has also embraced Keep Me Conscious, making them their most-played artist in the fall of 2009. Keep up with Keep Me Conscious tour dates and information at www.myspace.com/keepmeconscious and www.facebook.com/keepmeconscious. McAlister Drive will make you grow in their garden of shimmering chords, sugary harmonies and big, bittersweet hooks. Founded by Massachusetts native singer songwriter Christoph Krey, McAlister Drive has taken many forms of showmanship and musicianship with performers from all around the world. Something To Sleep With is their first LP, and a comprehensive statement about navigating the nasty ins and outs of relationships. Filled with sticky hooks and lush arrangements, this album functions as a companion for those dealing with the craziness of growing up and the perils of adulthood. In 2010 you can soon expect the much-anticipated release of the extended play recording called Missing Figures. Christoph took his first professional steps to the name McAlister Drive in the music city of New Orleans, where he lived on Tulane Universities McAlister Drive address, post Hurricane Katrina. The Crescent City certainly made The Big Easy Christoph’s passion for taking the stage and writing what a true sentimental soul barer should sing out. Christoph’s only life child McAlister Drive has been publicized as a balmy, summer night joyride with perfect melodies. A few tasteful guitars, simple piano, heartbreaking voices, and the sticks to beat a drum that moves the crowd are the only common trends you will find at MD’s ever impressive live show. McAlister Drive is ROCK for people who want Soul, Blues, Folk, and Indie Pop.